What’s your competitive advantage? Why do people pay you instead of someone else? Let’s just assume, for a moment, that it’s not your tax preparation services, or your financial advice, or your auditing skills. Anyone can do that stuff, and lots of people do. “Well, who the hell isn’t?” Ken Schmidt retorts. They want your passion. They want a connection. What makes people shell out $24,000 for a Harley when they could get a nearly identical bike from Honda — with slightly better gas mileage — for $8,000? 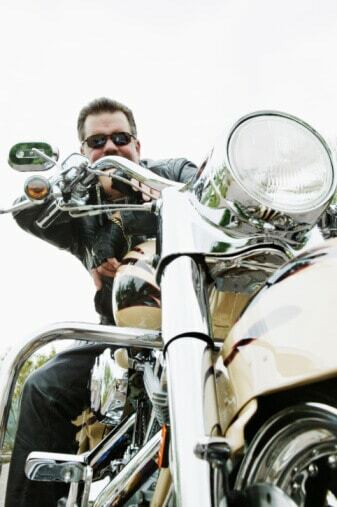 Here’s what: Harley’s employees are passionate — and not just about their motorcycles. They’re passionate about their customers’ experiences with their motorcycles. They’re passionate about connecting with their customers on the deepest, most personal level possible. They’re passionate about making their customers passionate. Here’s Schmidt’s bottom line: Be passionate. Be extraordinary. Be different. Be human. What sets you apart? And think hard about it. That might be the most important question you can ask.